I was about 6 months pregnant at the time, and we were planning to spend the last few weeks before making Aliya by my parents in Crown Heights. After driving about half the way, it began snowing lightly, leaving a thin invisible layer of black ice on the highway. Without warning, we lost control of the minivan and began swerving on the highway! Before we knew it we had driven off the road, falling into the snowy ravine. Our car flipped onto the roof and then flipped again onto the wheels, and then finally stopped. My husband and I looked at each other in shock, not really comprehending what had just happened. We turned to check on the kids seated behind us. They were just stirring from sleep, without a clue as to what had happened. We were all totally fine!! Baruch Hashem!! Even though the car frame was badly bent, causing the car to be a total loss! Now this sounds pretty crazy, right? What’s so “wondrous” about this story?! Yes, B”H we were all OK, even the kids didn’t experience any trauma because they slept through the crash and were in proper car seats! We didn’t hit anyone or anything B”H! But wondrous?! I call it wondrous because through this crash Hashem made it clear how much He loves us! Only because the minivan was so packed with our aliya stuff, the frame of the car didn’t crush us! 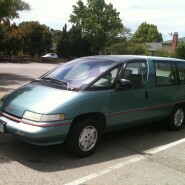 We actually needed to sell our minivan before making Aliyah. We were hoping to find someone who would buy it for around $1000 because it was an old model that had been used very well! But then, in the end, Hashem arranged it all for us…Soon after the crash a check arrived from our insurance company for the estimated value of our totaled car–$4000! The numerical value of “Tov,” the Hebrew word for good, is 17. And Adar is, of course, the month of Nahafochu–turning over. So I don’t think it was a coincidence that our accident took place on the 17th of Adar. Vnahafochu l’tov! We turned over, but it was all good! 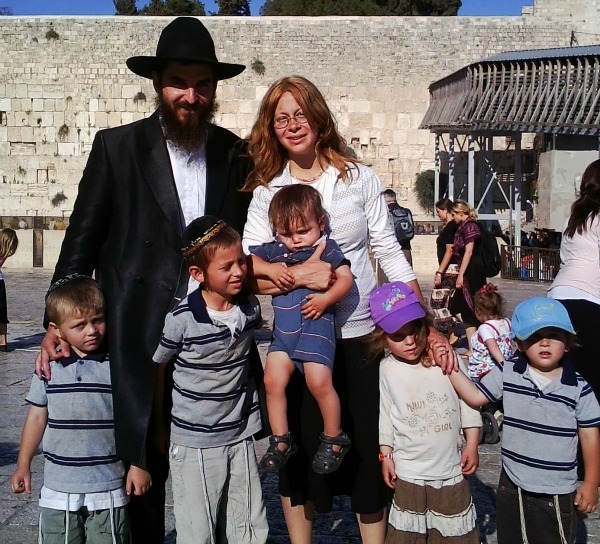 Devorah Esther Harel lives in Tsfat with her husband and six children. She is a stay-at-home mom who helps manage her husband’s lectures and workshops on bitachon and Avodat Hashem, and loves doing fruit and cakes/cookies decor in her spare time. I could’ve written this story myself… We had the same thing happen to us ( car flipped and fell into ravine, windows cracked, car smashed etc and nobody had a scratch) before we needed to buy a minivan. We got more money from the insurance, than if we would’ve sold the car. This story was absolutely wondrous without any need for justification….. I can’t imagine the horror of going through that with young children and the intense relief of discovering that they were all ok and sleepy!!!! A real life miracle!!!! !